You win this one, Seacrest: The Soup, the E! clip show that brought good to the world by keeping Joel McHale steadily employed throughout Community’s many cancellation dramas and simply by virtue of not being Tosh.O, will end its run at the end of its current season on December 18. This news comes courtesy of The Hollywood Reporter, which says that E! has pulled the plug on the show after a respectable 22 seasons. First launched as Talk Soup in the golden age of daytime talk shows—a.k.a. 1991—with Greg Kinnear, the show has seen several hosts over its lifespan, including the fabulously skunk-striped John Henson, Hal Sparks, and Aisha Tyler. (McHale took over the revamped, current version of the show in 2004.) 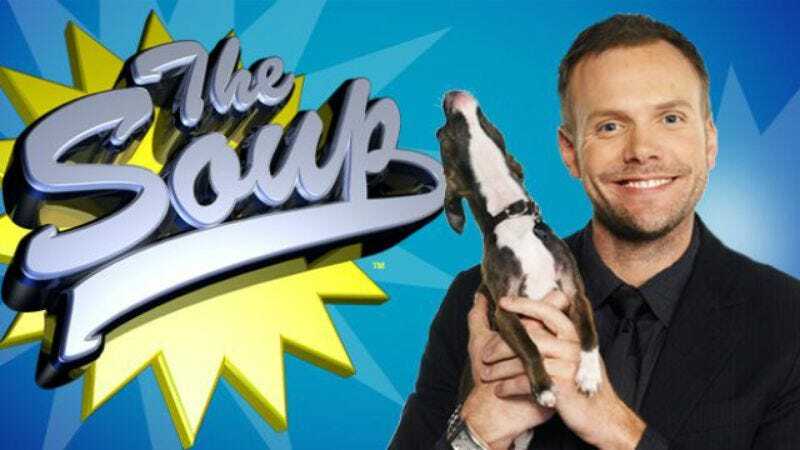 The Soup has also seen the trash-TV landscape evolve from Jerry Springer and Ricki Lake to the Kardashian klan and the Bravo family of table-flippers, and has remained sarcastic through it all. So from one purveyor of pop-culture snark to another: The Soup, we salute you.